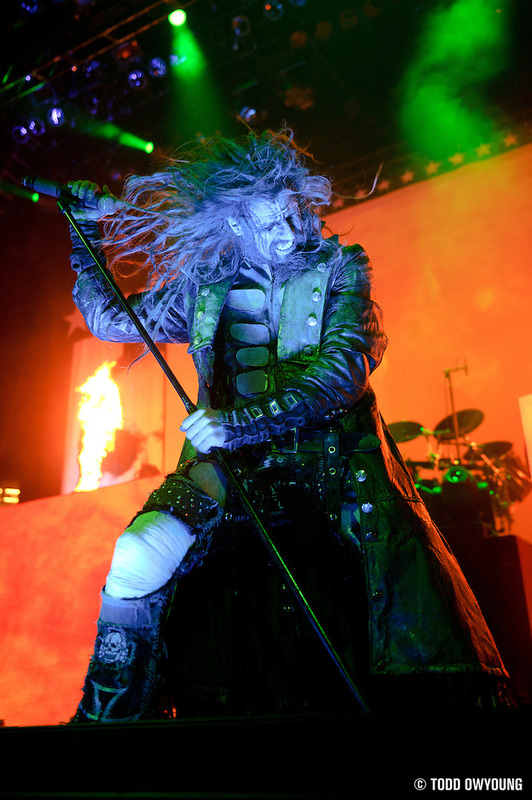 Headlining the Halloween Hootenanny Tour stop at the Family Arena, Rob Zombie and crew ripped into their set with signature zeal and showmanship. 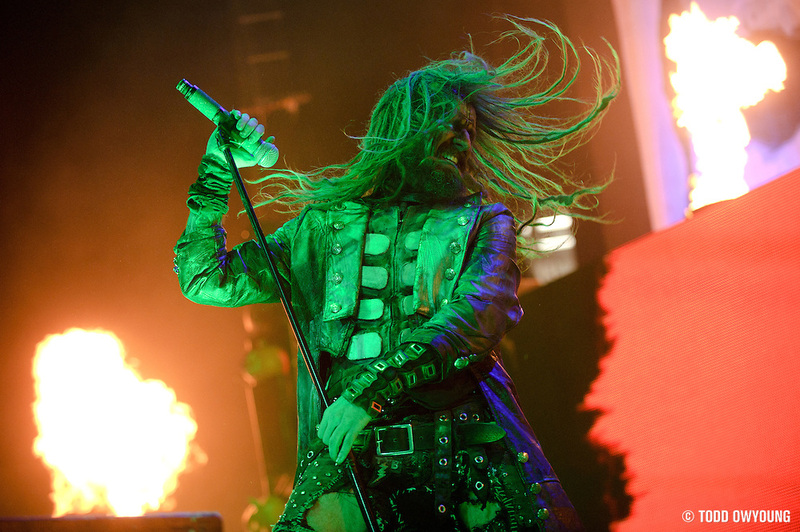 While I'd caught Rob Zombie on the Mayhem Fest tour earlier this year, I was just as excited to see what the band would bring this time around. Even though Zombie has been using the same basic stage setup for the past couple years, the challenges are always just a little different. The height of the stage, the lights, and positioning have changed for the last three times I've shot Zombie, if only by a little. Still, enough to make it interesting and keep me coming back for me – not that Zombie's extremely challenging stage treatment needs any help in that regard. 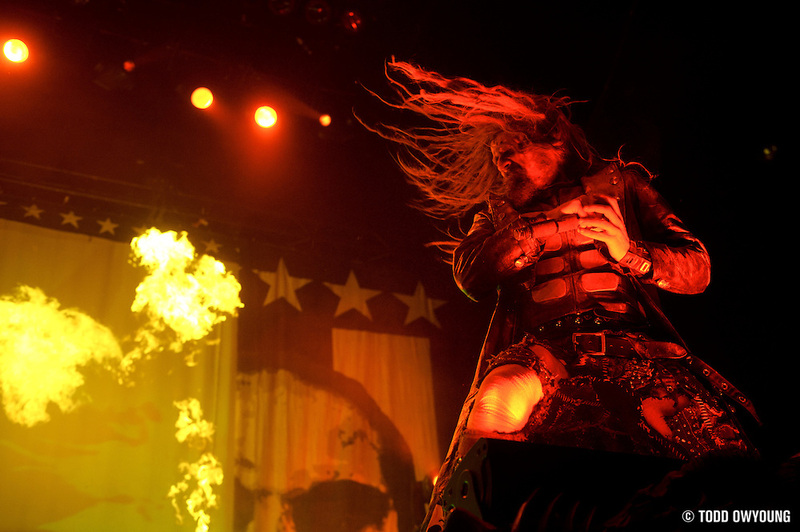 I know a lot of photographers who have all but thrown up their hands when confronted by the fast action, color washes, and acute shooting angles for Rob Zombie. 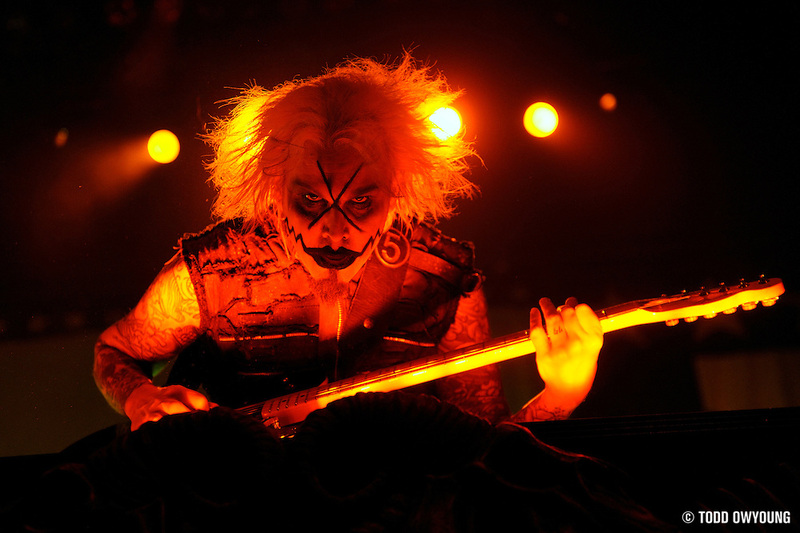 Luckily, there's plenty to shoot with this band, including pyro, Piggy D, John 5, and Zombie himself. I have apologize to Piggy D, though, because I generally make the executive decision to shoot John 5 and Zombie as my primary targets. One of these days I'll make an image that does Piggy D's skills justice. For this show, I used both the Nikon 24-70mm f/2.8 and Nikon 70-200mm f/2.8 pretty evenly. 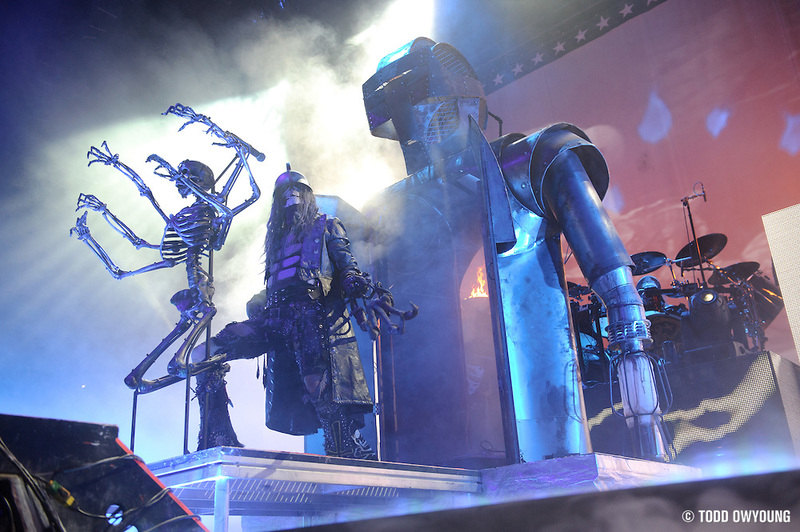 The thing about Zombie's stage setup is that there are three larger risers set up for Zombie, Piggy, and John 5. So add on another two feet or so to the ~4-5-foot stage, and these guys are pretty high for a photo pit. High enough that 24mm of the 24-70mm was just fine in terms of wide-angle coverage, so the midrange and the telephoto were a perfect pair. 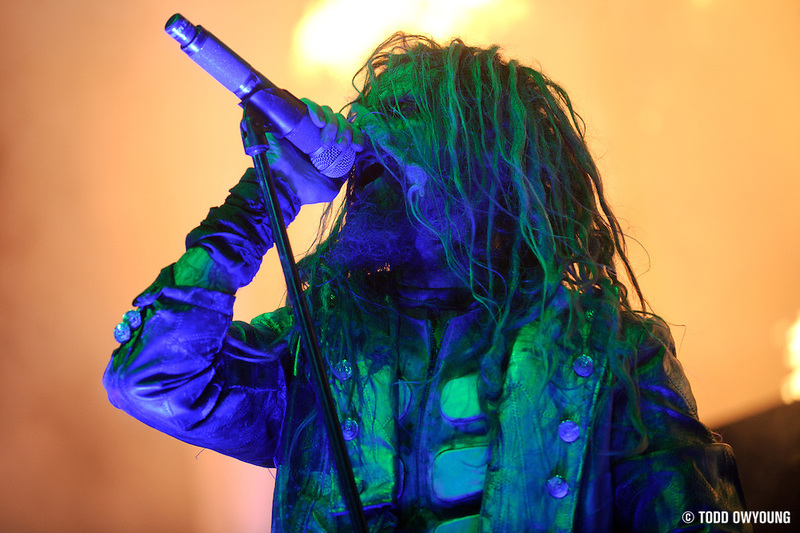 Do you have a Rob Zombie story? Do you hate his lighting? Love it? Great shots, I can see why Zombie would be an awesome challenge to undertake. Thanks for the comment. If you haven’t shot Zombie, he’s definitely a worthy subject. As they say, no guts, no glory. He’s tough, but it’s all the more rewarding when you make something that works out. 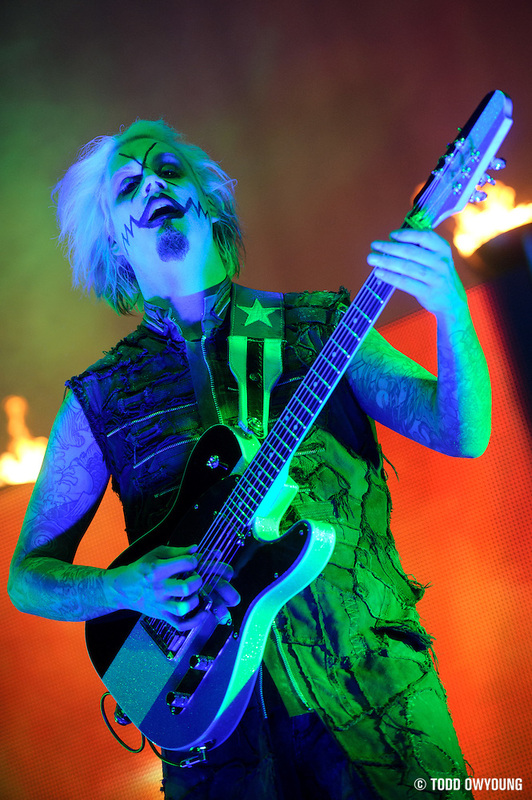 You always end up with the best shots of John 5. Awesome once again brotha! What can I say? J5 is a great subject – plus, I admit that I stalk him and shoot Zombie when I remember that it’s his name on the band’s road cases. Thanks for the comment, Kevin. great shots. 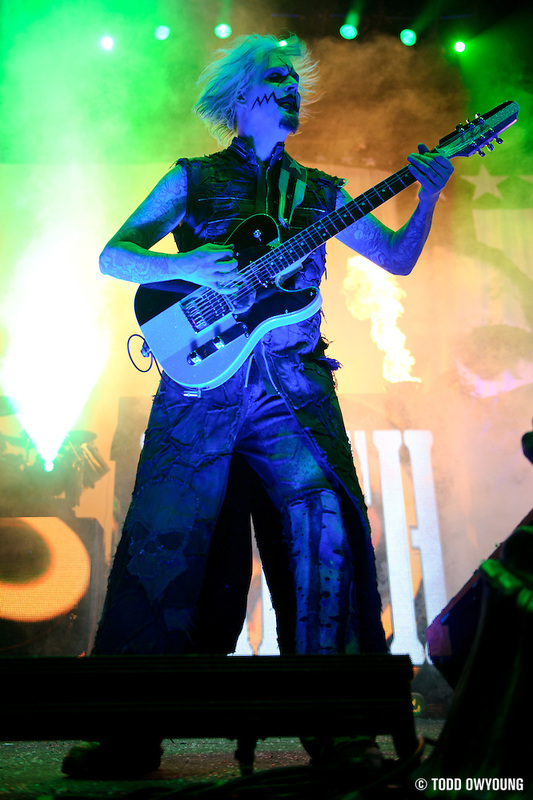 loved his performance at mayhem, but i hated shooting with his lighting. Hey Nick, thanks. 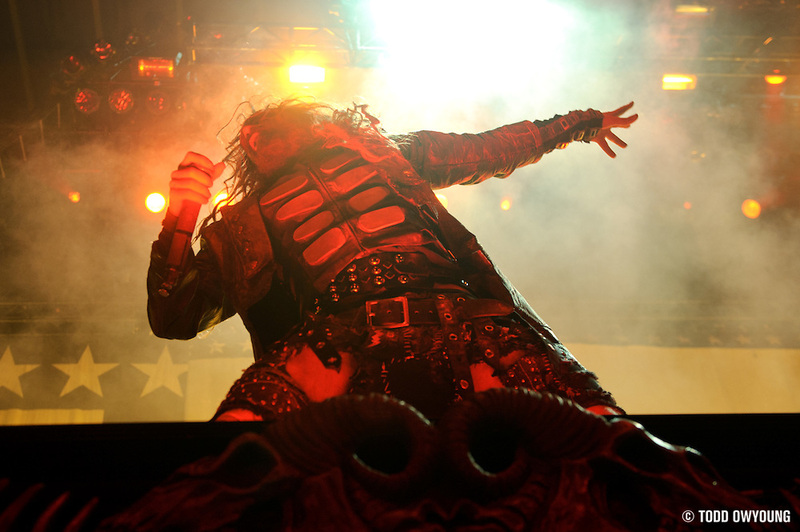 Zombie’s a showman, but his lighting is every music photographer’s enemy. it really is. hopefully now that i know what to expect it will only get easier (for the lack of a better word) to shoot. Hey Lorraine, thanks very much. With only three songs, crazy lighting, and fast movement, one always has to choose with a rock show. And most definitely with Rob Zombie. Meant to say, the lighting couldn’t have been worse than my experience with Terrible Things: http://www.flickr.com/photos/starstruck76/sets/72157625085718783/ Their faces were completely dark 90% of the time. Never seen anything like it! It’s all relative. It’s funny, because Zombie uses a ton of lights for this treatment – it’s just that the effect, ironically, isn’t all that photo-friendly. 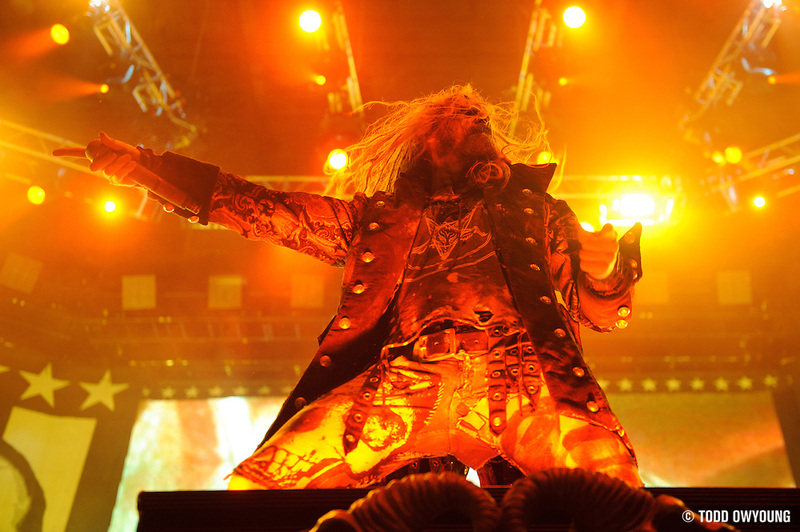 How many times did you shoot Rob Zombie this year? Great shots as always. You’re right about it being tough to shoot him, but the rewards are usually good if you succeed. I’ve been rewarded a few times and you seem to be rewarded every time! Good job!! I’ve shot Zombie just twice this year – once at Mayhem and another time with this recent Hootenanny business. But I shot him at the end of 2009, I think, too. Really cool photos, that first one is pretty damn epic. I got word that he’s coming over here next year so I’ll probably have a crack him myself. 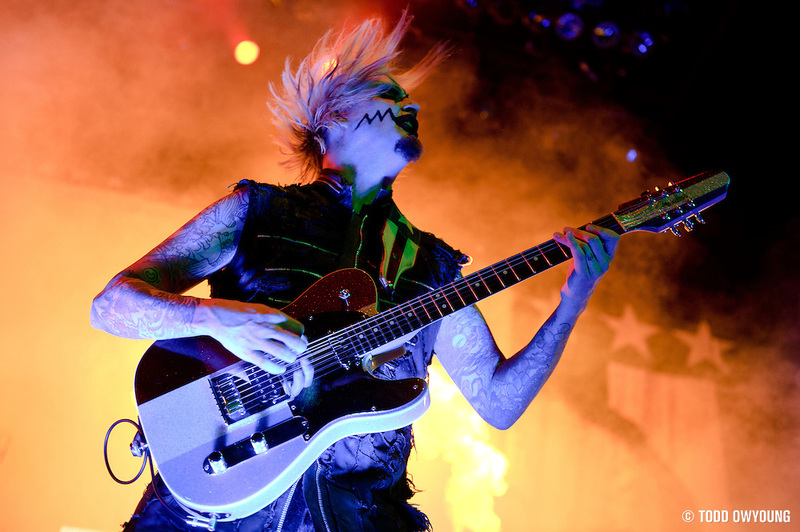 John 5 images are top notch. Interesting yet tricky lighting. But you handled it nicely. I crossed his path at the last Hellfest (http://www.facebook.com/photo.php?fbid=10150228821956087&set=a.10150228201936087.323706.291270891086&type=1&theater) and it was the same routine : Fast action, changing over-saturated tones, very high scene. You might also notice on the next shot that we were about a ton of photographers, which isn’t helping at all.